don't know why the same picture showed up every time in my first post. will try again. Hard to tell but it appears to be a sight off a 45-70 trapdoor. If bore is good I think it should bring closer to $2000. On really dirty brass I just put some in a sock and throw into washing machine with a regular load of wash. You can put several sock fulls in. After removing from sock place on cookie sheet and put oven on low setting for 45 min or more. Then corn cob them, make sure they are dry first though. Will get some pictures tomorrow, know I took some but now can't find them - darn computers and phones. The wood is in outstanding shape. Michael, sent a private message with serial number. Topic: Anybody here still drive a stick shift? Re: Anybody here still drive a stick shift? One more time before I die I want to drive a "three on a tree", the old three speed on the steering colunm. Believe the last time I drove one was in the mid 70's. Topic: 40-82 WCF Pet loads Anyone? Re: 40-82 WCF Pet loads Anyone? Yes, the year my dad was born. Sixgun wrote: That's it! I've had enough! Yes, it has come to that time! twobit, here are the photos that you wanted. Hope it helps your research. No history on it. The gentleman that I bought it from said he has had it 15 or so years and didn't even know why he brought it to the show to sell. His mistake, my good fortune. 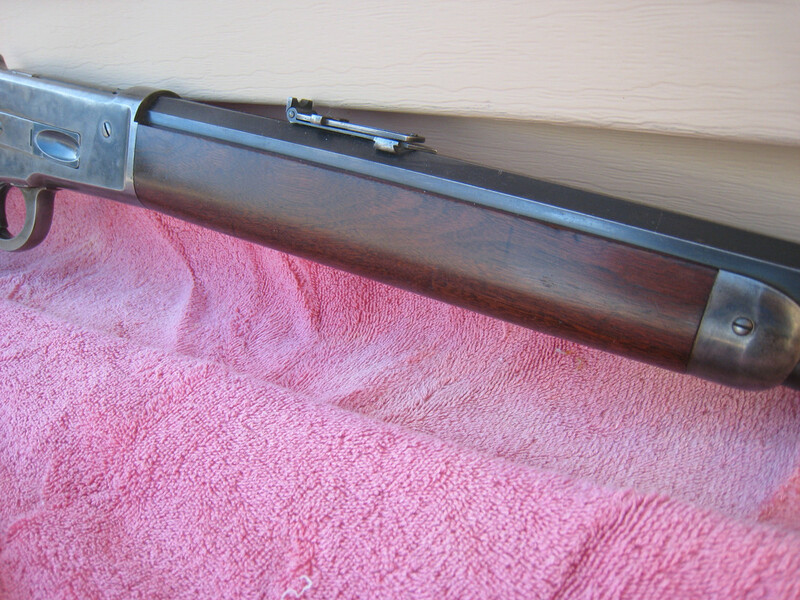 Great rifle! Just the way I love them, not so pretty you can't shoot it yet lots of life left. Have fun - you and the rifle deserve it. 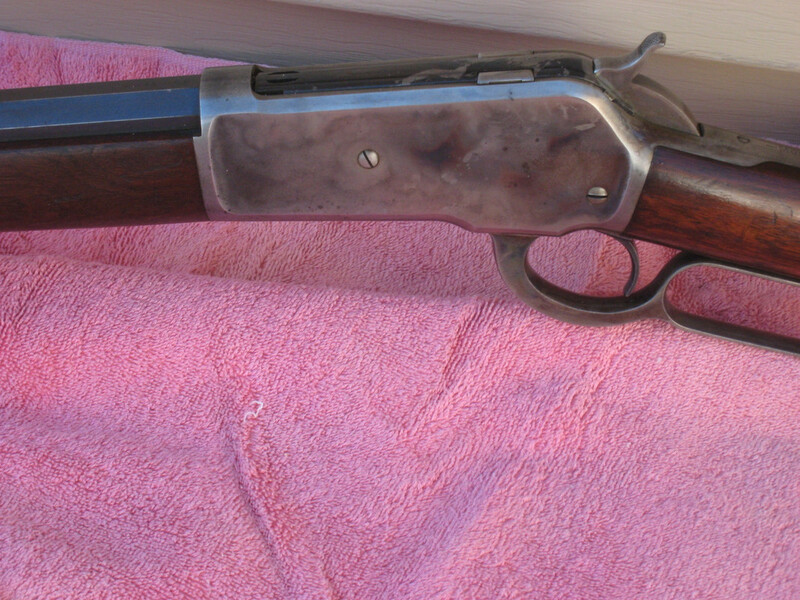 Don't think I would dump the pistol for a 32WCF no matter the condition, maybe for a 44-40 or 38-40. Some how the venison just taste better when harvested with an old Winchester. My grandson came for a visit this weedend and we had our favorite breakfast, backstrap, eggs, bisquits and gravy. These 2 white tail does were taken at 100 and 110 yards with an orginal 1886 (mgf 1887) with a soft lead 350 gr gas check with 26.5gr of 5744 at 1350fps in 45-90. Bang flop, bang flop. Nothing more than that is needed. 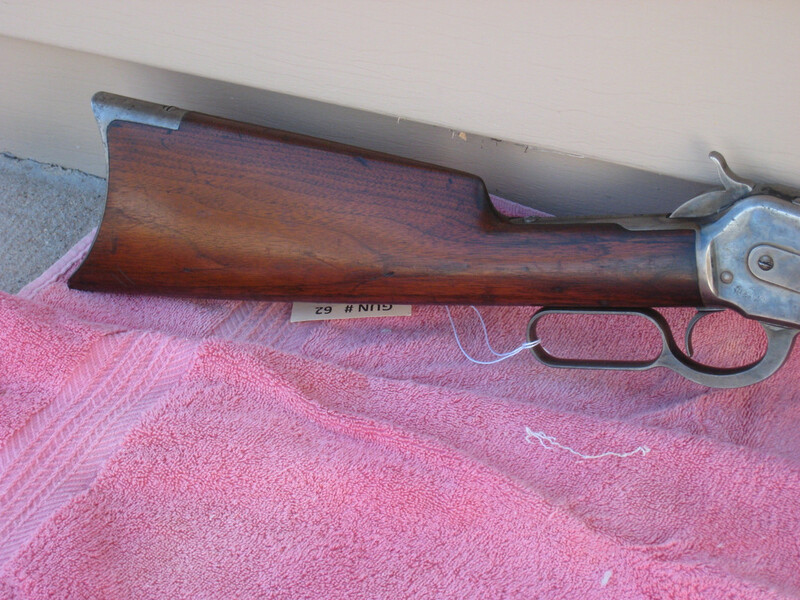 Topic: '73 Winchester in Action! I think you should get the Post Of The Year Award, loved it. That rifle kind of reminds me of my father when he was about 60. A little rough in spots but still solid and could keep working right in there with the young guys all day long. Great find. perhaps someone wanted to have several barrels to use with the same reciever? possible perhaps. very interesting rifle though. It being a 40-70 and a 50 Express which are 2 of the rarest calibers. good history. That rifle is just screaming "give me a checkered hammer and I'd be PERFECT". Goooooooooood looking rifle. Not only do I like the rifles I also like the art on the wall. In paticular the one with the 3 Indians by Howard Terpning called Long Shot. Have used Kroil for the past few years and have not found any problems with it. There hasn't been any negative effects to metal or wood. Topic: It just keeps getting worse! !